If I had to sum up this game succinctly, it would be that it had squandered potential. The battle system could have easily been better, the story set up a somewhat interesting setting but never did much with it, and the aesthetics were just okay at best, and blatantly bad at worst. 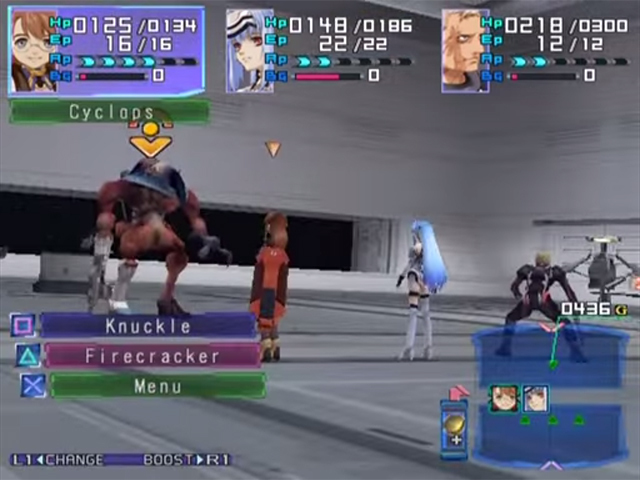 Xenosaga Episode I follows Shion, Allen, and KOS-MOS as they fly through space on a grand adventure, dealing with the threat of hooligans and space whales. Er… “Gnosis.” There are non-space whale variants too. While the story starts out with Shion, Allen, and KOS-MOS on board the Woglinde, several more loosely related characters come together with the same goal – although for different reasons that seem to be loosely interconnected – reach Second Miltia, a planet surrounded by a lot of mystery. Well, for the player. The characters seem to understand what’s going on. I think this is the first game where I’ve noticed that a lack of exposition is a huge flaw. The most glaring example is with the Gnosis. They seemingly come out of nowhere, but everyone knows what they are, with only the player left in the dark. It’s implied eventually that they’re a relatively recent phenomenon, but it isn’t until about 15 hours in where concrete details are given. 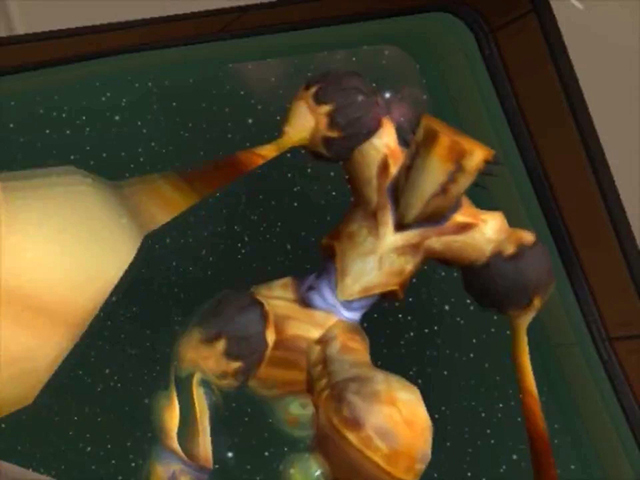 Even if not presented through character dialogue, the lore of the universe really needed something to fill in the background info. What’s Lost Jerusalem? What exactly is the Zohar? Why are there copies of the Zohar? What exactly happened on Miltia? 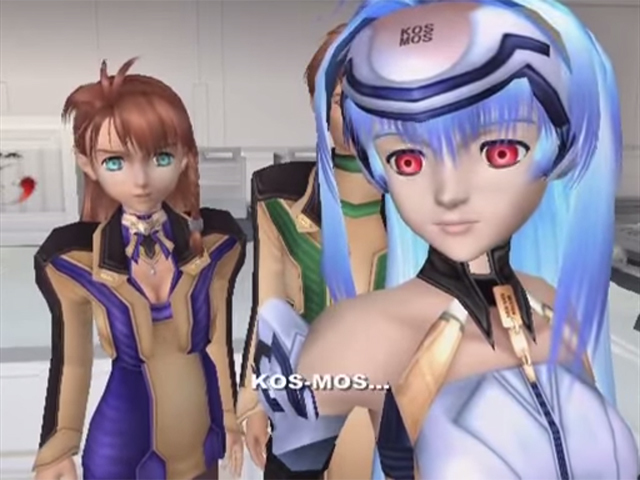 Why is KOS-MOS such a badass? Since there’s not much reading outside of character dialogue – in a very linear story with no room for sidequests to fill in the blanks – one thing that could have easily helped to fill out the lore is the email system. While wandering around Shion can receive emails concerning different things in the game, but they’re rarely related to the main story. 90% of them are “Hey, here’s a new weapon for KOS-MOS!” or “You can revisit this area to pick up stuff you obviously missed!” or “Here’s this other Namco game you should play!” Seriously, these emails include shameless advertisements for other Namco games. Instead of potentially adding important information for the characters, they used it to advertise. Woohoo. Along with all that, there’s no grounding for all of the sci-fi aspects in the game. For example, in Mass Effect, Element Zero is introduced as the underlying force behind most advanced technology – an electrical charge causes it to manipulate mass, resulting in many different useful applications. Even if it’s quite obviously science fiction, they did an excellent job of giving it real world perspective. 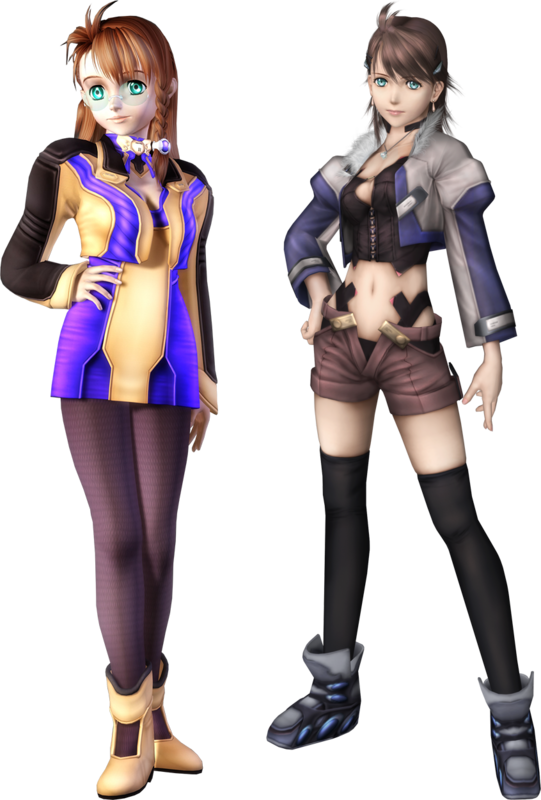 In Xenosaga, there’s hardly any explanation for anything: the Zohar exists and affects stuff just because. The Gnosis need to be phased into our dimension in order to be damageable (but can still somehow attack people and things) just because. KOS-MOS can launch space magic out of her stomach just because. And the music. There are only two battle themes. One for the final boss, and one for every single other battle. That’s it. In all but the final battle, no matter the importance, no matter the context, no matter the enemy, you will hear the same exact music, and it certainly doesn’t help that the battle theme is nothing special to begin with. Beyond that, when wandering aimlessly while trying to get from point A to point B, there is just dead silence outside of the occasional ambience and similarly repetitive music for “emergency” situations, which seems to be present in about half of the game. The voice acting isn’t very good either. Characters clearly feel like they’re just indifferently reading lines instead of getting into character, complete with Godzilla-tier lip syncing. Well, with one huge exception. Also known as the creepiest SOB I’ve probably ever seen in a game. Albedo, voiced by Crispin Freeman, is leagues above every single other character in the game, both in terms of acting and simply being interesting. Freeman perfectly captures his apparent reckless abandon and obscured intentions, with theatric monologue, maniacal laughter, and generally pulling off a performance that is both unsettling and captivating. If this was the voice acting standard for the entire cast, people would be tossing awards at the actors. And while Shion is a pretty boring protagonist, KOS-MOS is just a badass robot chick, and the other characters are all fairly lacking, Albedo’s character manages to throw an interesting wrench into a rather uninteresting story. His involvement with the greater story, relationship to characters such as Jr, and overall stake in what’s building up makes him one of the focal points of the game, even if he doesn’t get as much screen time. While pretty much everything else about the game is average at best, the battle system is bad, and the RPG mechanics hardly seem to matter. First off, let me try to explain everything going on here. You have your HP (health points), EP (Ether power), AP (attack points), and BG (Boost gauge) for each character. Then, in the bottom left you have your options for battle – one of two attacks to start, or the menu to choose an item, use an Ether ability (basically magic), get into an A.G.W.S. (Anti-Gnosis Weapon System) mech, or guard. Finally, in the bottom right is the turn order and “event slot.” Obviously, there’s way too much on-screen crap. A basic physical attack consumes 2 AP, and each character generates 4 AP each turn. So by default you can throw out two basic attacks each turn, or use one item. If you just do one attack or guard, you’ll be able to save up more AP for the next turn, allowing you to combo into a special Tech Attack, or use items on the entire party. With the A.G.W.S. mechs, you can also stock up your AP to unleash a powerful AOE (area-of-effect) attack on the enemies, but you also can’t be healed or use items. While this side of the battle system is okay, there’s plenty more going on to needlessly complicate things. First is the Boost system. While cool in theory, it’s nowhere near as good in practice since the enemies regularly abuse it, seemingly at random. As your characters deal damage, their Boost gauges will increase, which will allow them to interrupt the turn order at some point. Of course, enemies can do this too, and they seem to do it far too often. Then, along with this, there’s the “event slot” gimmick. Instead of showing the full turn order for all characters on screen, it will just show one quarter at a time, along with the “event.” These can be increased criticals, increased post-battle rewards, etc. Unfortunately, while it initially comes off as being completely worth ignoring, it’s made relevant by the abused Boosts and half-assed turn order. In one boss battle in particular, the enemy will use a special attack if its turn follows Shion or Jr. However, not only can it seemingly Boost whenever it wants to, you also can’t see the full turn order, so you won’t even be sure if it’s coming up next or not. But what’s even worse than this is most of the meaningless battles during exploration. When fighting a boss 3 vs. 1, it’s normally manageable without too much of a headache, regardless of built-in issues. However, when fighting other enemies 3 vs. 4 or 5, it’s hardly even worth the time and energy. Enemies seem to use the Boost system completely at random, which feels extremely unbalanced. Even if all of your party members are guarding, being hit by several successive AOE attacks can immediately make fighting a battle a waste of time – trying to juggle constant healing with dealing consistent damage to enemies that are commonly healed by unreachable back-line compatriots completely kills any motivation. It also doesn’t help that you need to build up your AP to be able to dish out AOE attacks, and with many, they have limited uses per battle. There is hardly any reward for tons of wasted effort, as you barely get any experience or items outside of boss battles. The game also throws healing and escape items at you like crazy, so if they’re expecting you to flee tons of battles, why bother trying to fight in the first place? And last up to talk about is the leveling. 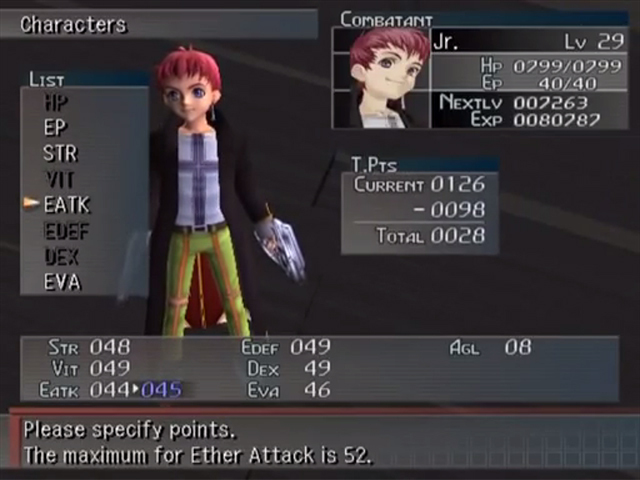 While characters do level up normally as they gain experience in battle, another feature is using E. Points, T. Points, and S. Points to level things up. Not that the game ever even mentions it. E. Points are used to gain more Ether abilities or share them with other characters, T. Points are used to level up specific stats or strengthen Tech Attacks, and S. Points are used to set skills and are basically useless. It takes ages to build up a usable amount of points, and then they’ll vanish in an instant as you make mostly inconsequential changes. As a whole, this game is a bit of a mess. The few good things that it has going for it are weighed down by countless negative ones. The story never really goes anywhere, the characters themselves aren’t very interesting, the aesthetics are subpar, and the battle system is more of a hassle than it’s worth. Moral of the story – Don’t sign up to be an organ donor unless you’re prepared to be reanimated as a cyborg. 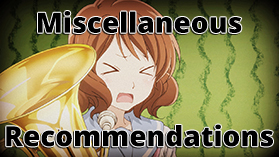 Recommendation – Based on this game alone, I would not recommend playing it. You’d get just as much out of it by watching the cutscenes (and save some time and money). Soon, I’ll get to the second and third games of the series, so at that point I’ll have a better idea of whether or not the trilogy is worth jumping into. I figured much of it (if not all) would be cleared up in the next two games, but this one by itself just raised tons of questions without delivering many answers. One of my favorite RPG series of all time. Do not ask why exactly, it just clicked with me more than any Final Fantasy game could back then. I really wanted to see the full project get produced but alas too many issues prevented that. Oh well, two out of three good games is enough for me. 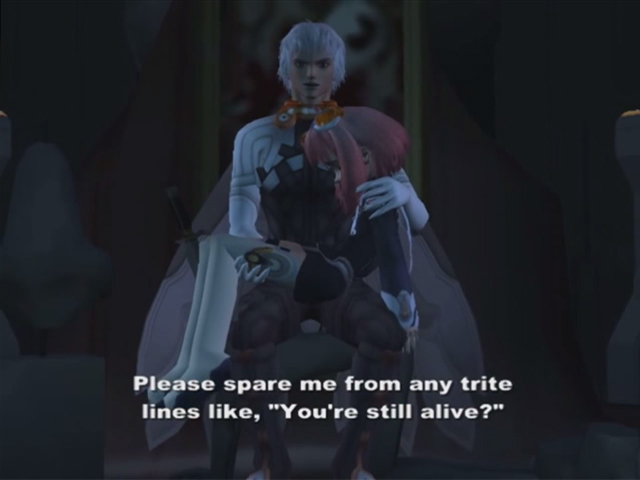 KOS-MOS and MOMO are my jam. Yeah, I saw that it was originally supposed to be 6 games. That’s quite the aspiration, even if this game was amazing, I wouldn’t quite expect 5 sequels.